BELMOPAN–The condensed Premier League of Belize Belikin Cup Opening Season Tournament kicked off over the past weekend, and since a scheduled match between Police United FC and the Belmopan Bandits – both of who play out of Belmopan – was postponed on Saturday due to inclement weather conditions, the back match was played last night at 7:30 at the Isidoro Beaton Stadium in Belmopan. Football fans who were in attendance, and we understand that there were quite a few despite the fact that it was a week night, described the game as energetic, especially when considering that those are the top two teams who faced off for the championship in the last PLB season. Both teams have played to several even stalemates during the last season, and it seemed like that was going to be the outcome last night, but the Police United FC team, through the efforts of their striker Lennox “Criminal” Castillo, shook the back of the Bandits’ net in the 71st minute of the game and propelled themselves to a vital victory over their arch nemesis. 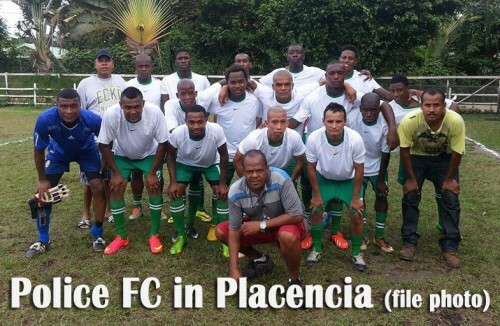 At this point, Verdes FC, of Cayo; Wagiya FC, of Dangriga; the Belize Defence Force (BDF) FC, of Orange Walk; and Police United FC, of the Capital City, have all picked up three points apiece by winning their first outings, while the other teams, including Placencia Assassins, of Placencia; FC Belize, a Belize City-based club which is playing out of Louisiana Stadium in Orange Walk due to works being conducted on the MCC Field in Belize City; San Ignacio United, from Cayo; Paradise/Freedom Fighters, from Punta Gorda; and last year’s champions, the Belmopan Bandits, are yet to gain a point in the fast-tracked competition. Since this year’s opening season is shorter than normal, it must be noted that none of the teams can afford to lose more than three games since there will be a maximum of 24 points to be won from a total of six games each.